If you suspect,or are suspected of having sleep apnea, it is important to get a sleep test to know for sure. In-lab sleep tests (where you spend the night in a facility) can be costly and it is difficult to sleep in an unfamiliar environment. Arrow Respiratory Care is now offering HST (Home Sleep Testing) for the identification of sleep apnea and for the confirmation of continuing sleep apnea for people who are wishing to have their insurance company provide a new machine. 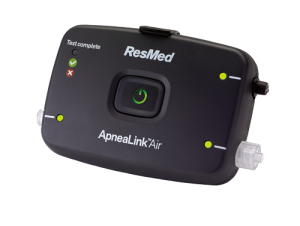 We use the ApneaLinkAir by Resmed as our home testing model. It is easy to use, and can be completed in one night. If you need to take a home sleep test, we will prepare a test and ship it to you or you can pick it up in our office. Once you complete the test, you will ship it back for physician review. If the physician determines you do not have sleep apnea, we will send documentation to your physician. If you are taking a DOT Physical, the medical examiner can use this documentation to clear you for your medical certification. If you do have sleep apnea, we can get you treated and monitor your results as needed. Commercial drivers, once your treatment is working, we will send proof to your DOT physician so they can clear you for your medical card. 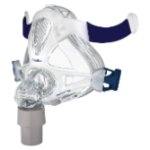 As long as you are a current CPAP patient and receiving supplies, we will download your compliance and fax/email to your doctor free of charge. Rental of the test equipment is easy. 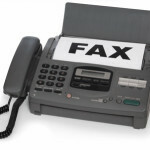 Just give us a call to reserve your testing equipment and we will guide you from there. The cost is only $100 and includes analysis and recommendation by a certified sleep physician. We will send paperwork for DOT or employer if you do not have sleep apnea. If the home sleep test shows that you have sleep apnea, you may purchase the treatment portion of our program. Pricing varies by the treatment you require. 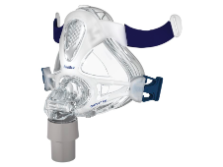 CPAP machines offer one constant pressure during inhalation and exhalation. BiPAP machines have two pressures: inhalation and exhalation. 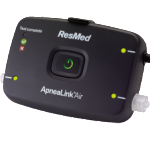 Auto Adjusting CPAP machines adjust to the pressure you need automatically. Most Arrow Respiratory Care patients receive an Auto Adjusting PAP device since it is the most comfortable to use and results in better compliance. PAP machines require a mask that patients must wear while sleeping. The mask is the most important component for insuring proper treatment from your machine. A proper fitting mask insures a positive outcome. We carry a full line of nasal, pillow and full face masks in a variety of prices to suit your budget. Getting diagnosed and treated is only half the battle. Continuing to use your PAP machine is important and proving that you are using it is essential to maintaining your DOT license. Arrow Respiratory Care is here to get your usage data downloaded and sent off to who ever needs it. If you are having difficulty adjusting to life with CPAP, our licensed respiratory therapist is available for coaching, tips and encouragement. If you are using a Devilbiss machine with Smart Code Technology we can take your numbers over the phone, wherever you are in your travels. 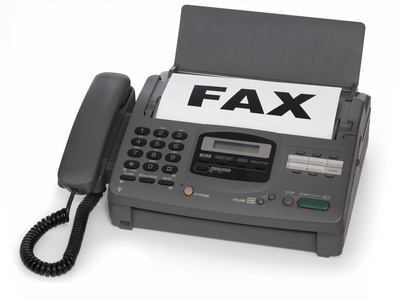 If you have a machine with a data card, you can mail it to us for download. Don’t worry, your machine should still continue to record data without the card. If you are a current customer and purchasing supplies on a regular basis, compliance downloads are free!